Outer Banks pier fishing is a great way to spend a day with the family. It’s affordable, and it’s convenient, since most of the fishing piers are well stocked with everything you need to get rigged up. Should the fishing be slow, you can always resort to Plan B and return a little later to try your luck, depending of course on what type of pier pass you purchased and the time of year. Pier fishing can be a real adventure for kids, and a good way to introduce them to the world of fishing. Please be mindful of child safety while on the pier. For example, don’t let your children walk behind someone who’s casting. There’s a social aspect to pier fishing as well. When the fish are biting, you’ll find plenty of folks who’ll talk you up about what you’re using to catch your haul. And when the fish are nowhere to be found, well, there’s no better way to pass the time than to make a new friend. The key to having a great time on the pier is to treat everyone with respect - fish included. If it’s too small, release it. If it’s not a fish you intend to have for dinner, release it. Learn how to properly release a fish, because its window for living out of water is small. Granted, you may come across less experienced fishermen. And you may find yourself having to uncross your line with them more often than you’d like. But remember it’s possible that this is the first time the person beside you has ever pier fished, so cut them some slack and go back to your happy place. C’mon, you’re pier fishing on the Outer Banks. Really, does it get any better than this? 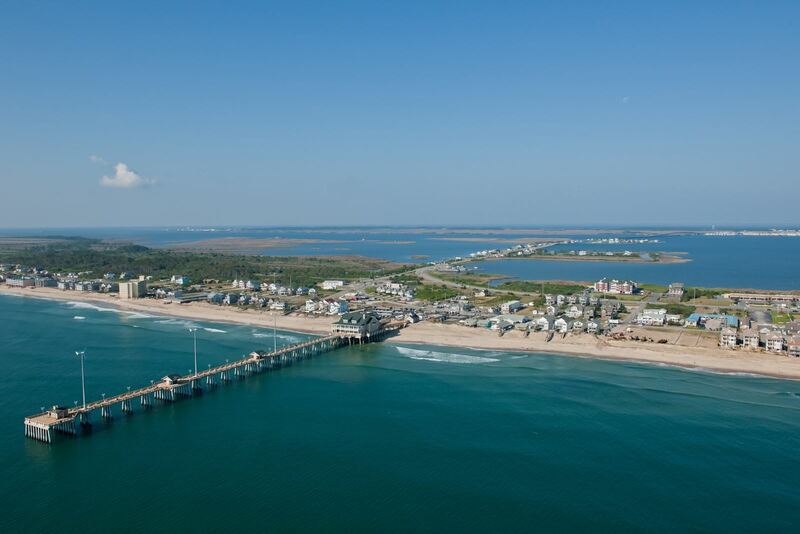 The Outer Banks has six public ocean piers. A fishing license is not required to fish from the ocean piers.